Grand Theft Auto is one of the most favourite and most played titles of all time. We all have grown up playing a version of Grand Theft Auto. The series last game Grand Theft Auto 5 was a huge success, it set many records as a digit entertainment medium. There are millions of players who still play Grand Theft Online. Meanwhile, the developers Rockstar Games have been supporting the game for the last past years and will continue in the near future. The GTA community now want a new grand theft auto title, a new game which utilizes the current generation of consoles at its fullest. The last GTA game which we will get to play before the next generation console launch. In a recent paste bin post by an anonymous 3rd party game developer we got to know few major details on GTA 6. As the user was anonymous and we couldn't confirm if the leak is 100% correct or not but it's worth taking a look. So, according to the post the new grand theft auto 6 will take place in Miami or New York City. Personally, I think either one is a good choice for a new GTA, though Miami would be a better fit. The next major thing he quote+d was the timed exclusivity deal by Sony. I don't think games like Grand Theft Auto are ever going to be a timed exclusive. If by any chance Sony pulls this one off and GTA 6 may become a timed exclusive for PS5 for a month. It will bring revolutionary results. 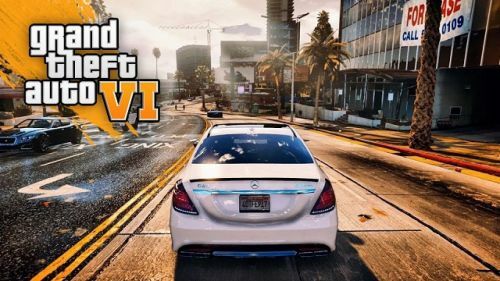 GTA 6 might get a 2020 release, as far as we know the game is definitely in development and we may get to see some new news on it in the coming E3 2019 event. Stick to Sportskeeda for Videogames news and updates.